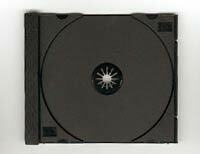 60 Standard pro quality CD jewel box preassembled with a black tray. 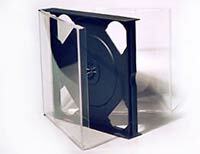 2-CD black tray that fits in a standard jewel box. 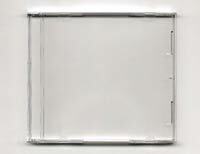 2-CD Clear tray that fits in a standard jewel box. Quad Jewel Box. Needs 2 more trays to be complete. Calendar-style case the same size as a cd jewel box. 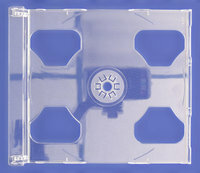 Standard pro quality CD jewel box assembled with a clear tray. Standard tray that goes inside a jewel box. 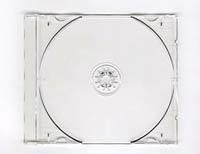 Transparent tray that goes in a CD Jewelbox. 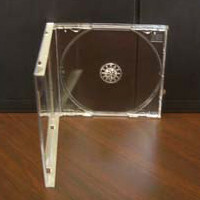 Clear DVD-style tray for jewel box. 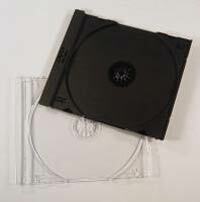 Did you know that using regular CD trays may damage your DVDs? The pressure of the hub may cause the bonded DVD to come apart. 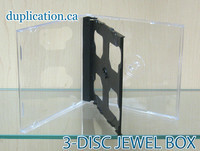 DVD style black tray for jewel box. 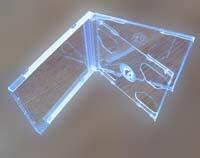 Did you know that using regular CD trays may damage your DVDs? The pressure of the hub may cause the bonded DVD to come apart. 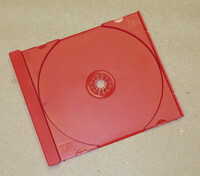 These trays are specially designed to avoid putting pressure on the DVD disc. 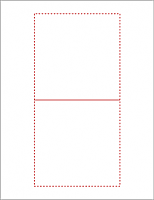 Ideal for archiving. Red tray that goes inside a jewel box.